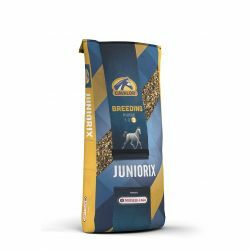 JUNIORIX is a specially formulated mix for young horses from approximately one year. During this period in which the foal fully develops, playful yearlings need specific growth-targeted nutritional elements : nutrients that guarantee the progressive growth of bones, joints and organs. JUNIORIX is formulated in such a way that exaggeratedly fast growth is avoided. Steady growth is extremely important to breed strong and healthy horses. Cavalor JUNIORIX contains contains the Opti-Growth component that guarantees a good bone, tendon and joint development through a perfect calcium/phosphoric acid ratio and optimal availability of copper, zinc and manganese. With Opti-Growth problems with OCD, porous bones and osteoporosis are reduced to a minimum. 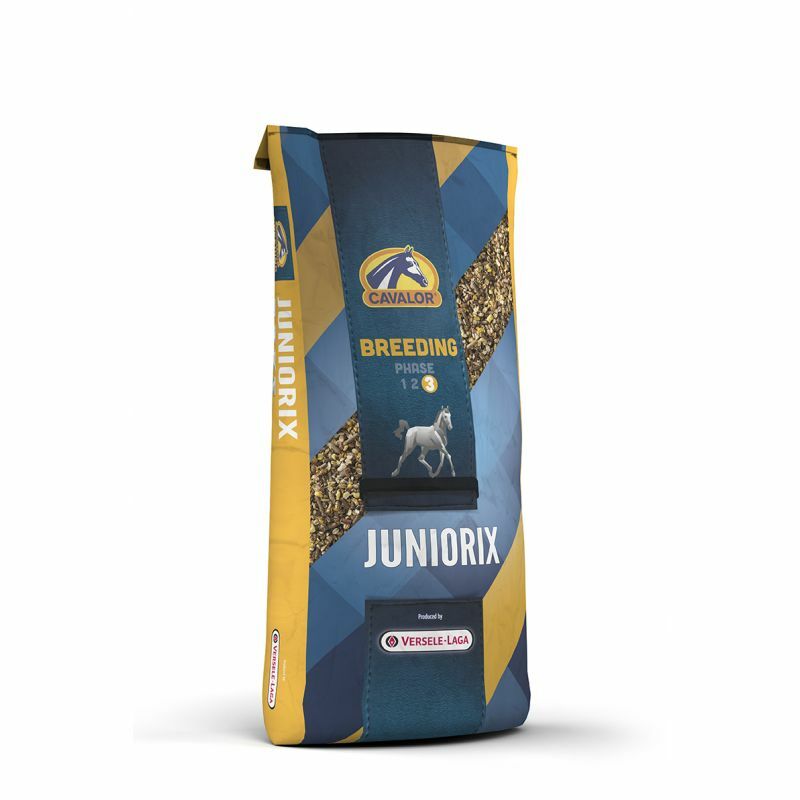 Always give JUNIORIX in addition to sufficient (at least 5 kg) forage (hay, etc.). 36 months - 0.50 kg per 100 kg live body weight. Omega 3, this unique fatty acid composition supports the general condition of the horse. Opti-Growth, the right calcium/phosphorus ratio is crucial for the development of the bones. Opti-Growth guarantees healthy bone development and optimal availability of copper, zinc and manganese for the joints and bones.